At the core of our dental practice is a friendly team of professionals that are dedicated to your utmost comfort and optimal oral health, regardless of if it's a simple teeth cleaning or getting dental crowns! We view each patient as a unique individual, and tailor each treatment to your specific needs. As part of our commitment to providing close, personalized attention to every patient, we want to encourage patient communication. Please know that we are here to provide outstanding patient care, and that we value the trust you have placed in us. Hi, I am Mary. 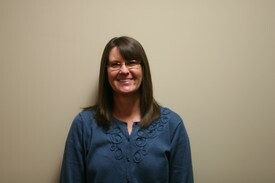 I joined the team of Palmer Dental Group in 2010 as the Office Manager. I have had the great pleasure of working in the field of dentistry for 4o years. My experience has been in the clerical area of the dental practice. I enjoy working with the many areas of dental software, insurance and accounting. It is my goal to provide our patients with a welcome & efficient office with the latest of technical equipment and training of our staff. I am very proud of the staff we have, as work as a team utilizing each others expertise in their given areas while we work towards the best dental treatment available. I was born and raised in Topeka. My daughter is now grown providing me with 2 wonderful grandsons and a great grandson. I enjoy the outdoors taking care of my plants and fishing every chance I get with my life partner. I have a husband, two sons and three daughters that enrich my life every day. In my free time I enjoy fishing, camping and being a grandma to my two 2-year old granddaughters. My name is Branyn. 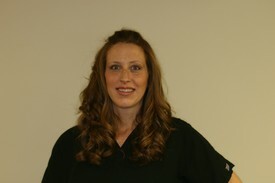 I have worked at Palmer Dental Group as a dental assistant for 12 years. 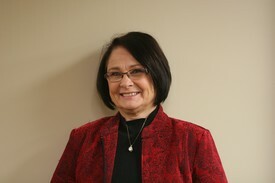 I was born a raised in the Wichita Area and attended Wichita Area Technical College for dental assisting. I love learning about my patient's lives and their families. Hearing their stories, and sharing some of my own. I help patiets during treatment working chair side as I assist the dentist. 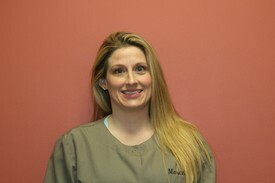 I graduated dental assisting school in 2001 and am a Certified Dental Assistant. 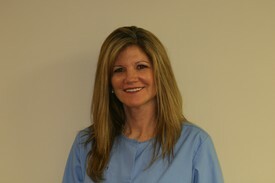 I have been with Palmer Dental Group for 15 years. I like to try to volunteer for KMOM every year if it is in our area. I have 4 kids (2 boys and 2 girls) and a wonderful husband. I enjoy spending time with my family when not working. My name is Patty and I have had the pleasure of helping straighten and create beautiful smiles via the orthodontics field for the last 27 years. The last 15 years of those have been in Haysville with Palmer Dental Group. I work alongside Dr. Palmer to see that we design and execute a treatment that allows our orthodontic patients to receive the best care and accomplish the desired results. I enjoy getting to know our patients and learning about them, their lives, families and hearing the many stories that they share. When I am not working, I truly relish in my other roles as grandmother, mother and wife. I am thankful to possess a loving and growing family and spend as much of my free time as I am able watching them all continue to grow. 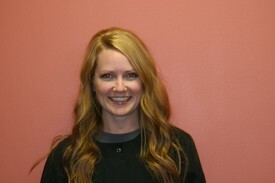 We welcome you and your family to our practice and hope that we can make your experience enjoyable. I began my dental journey in my hometown of Sedan, Kansas. I started working with Dr. Palmer in 1995 in Sedan.In 1996, he purchased his father's practice here in Haysville and at that time he hired me to be his dental asisstant. That is when I moved my family to Wichita. As the years progressed I moved postions in the practice to the front desk, where you will find me today. I have raised two wonderful sons. And I now enjoy the company of my fur-baby, Harvey. 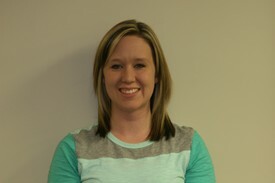 My name is Casey and I have been with Palmer Dental Group since November 2014. As a receptionist, I am the first face you see when you come through the door. Currently I am attending Butler Community College pursing my Associates in Business Administation. In the spring, I will transfer to Wichita Stateto pursue a Bachelor's. I enjoy spendgin time with my three year old son and my dog. I also love photographyand I am taking pictures whenever I can, I love to travel and most weekends you'll find me at the zoo or the park with my son. My exerience in the dental field started in 1990. I started with Palmer Dental Group in 2002. I enjoy my work or as I like to call it "playing in the insurance world". I have lived most of my life in the Wichita area and now love my farm life. I am happily married and enjoy spending time with my awesome grandchildren. I also enjoy gardenig, planting flowers and spending time outside with my four legged furry child, Daisy. I graduated from Wichita State University with a Bachelor of Science Degree in Dental Hygiene. I have worked for Palmer Dental Group for 2 years. I was born and raised in the Wichtia area. In my spare time I like to workout, eat queso and travel with my boyfriend. 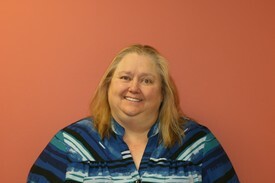 My name is Angela and I am from Wichita, Kansas. 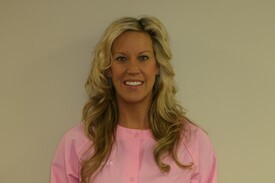 I am a Dental Hygienist for Palmer Dental Group. 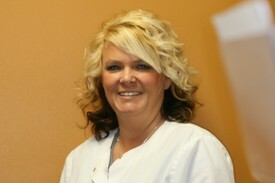 I have worked for Palmer Dental Group for the last 14 years. I graduated from Wichita State University in 2002. I have been married for 12 years. We have two children a son 10 and a daughter 3. I enjoy spending time with my family which includes many weekends of sporting events. I love eating pizza there for had to takeup the sport of running. I believe in hard work, compassion and love that is what motivates me. My name is Amanda. I was born and reaised in Clearwater. I graduated with honors from Wichita State University in 2011, with a Bachelor of Science Degree in Dental Hygiene. I have volunteered with children with special needs, Kansas Mission of Mercy and Give Kids a Smile. I aslo belong to the Apla Eta National Honor Society in Alled Health. I enjoy getting to know each of my patients and helping them achieve an healthy beautiful smile they deserve. What I love most is spending my time outdoors with my husband and three sons. My name is Tiffany. 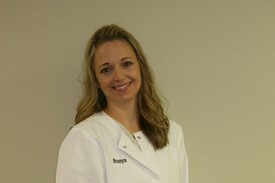 I am a Dental Hygienist and have worked for Palmer Dental Group for the last 18 years. I graduated from Wichita State University, with a Bachelor of Science Degree in Dental Hygiene. I'm married and have four children. I love to travel. I was born and raised in the Wichita community. I graduated Wichita State University in 2011 with a Bachelor of Science degree in Dental Hygiene. I enjoy my job of providing gentle yet thorough dental cleanings to our patients of all ages. When not at work, I love spending time with my husband and four children. 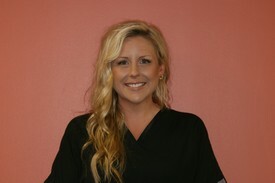 I am a full time hygienist at Palmer Dental Group. 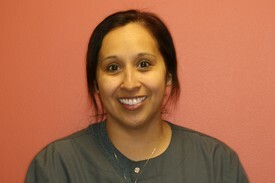 I was a dental assistant for 10 years before graduating from Wichita State Dental Hygiene School in 2006. I was born and raised is Wichita. In my free time I enjoy doing genealogy reasearch, yard work and relaxing ont he couch with a 3 year old labrador retriever.